Whether watching the big game or your favorite shows, there’s only one way to fully experience the energy and excitement… in High Definition! 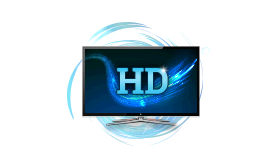 Only channels Included with your subscribed package will be available in HD. * Indicates Madison Local Channels. (---) Indicates the HD Channel Version. Tues-Fri 8:00 a.m. - 4:30 p.m.